This may not be your first time hearing about “bronde” hair, the hair coloring trend making waves in 2016. Believe it or not, the latest sun-kissed look actually sprouted back in 2015 and has been most famously sported by actress Blake Lively. If you haven’t seen the picture of her wearing this hair color and have yet to have heard of “bronde” hair, you’ve come to the right place! We can fill you in on exactly what bronde hair is, how stylists create the look and how you can maintain it in the long run! What Is Bronde Hair Anyway? Bronde hair seems to be closely related to ombre, which took the last couple of years by storm, and balayage, which is rising in popularity alongside bronde. 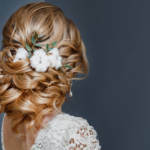 If you have naturally dark hair but aren’t sure whether blonde hair is for you, stylists commonly recommend adding blonde highlights into your hair and seeing how it looks. This is essentially what bronde is. Think of it as dark roots and lighter tints highlighting toward the tips of the hair, with both colors subtly weaving together. Many like it not just because of its noncommittal nature, but because it adds extra body to the hair in an attractive and organic-looking way. How Is Bronde Hair Created? Sulfate free shampoo and conditioner is great for all types of hair. When you go to a salon, be sure to be specific with your stylist. Bronde hair is also known as “tortoiseshell,” and only refers to brunette hair highlighted with an assortment of lighter tints strewn throughout. Stylists can do this help you achieve this look through any number of ways, but the most common involve foil or the aforementioned balayage technique. How Can I Take Care of My Bronde Hair? If you’re the proud wearer of the bronde look, there are several things you can do to keep your color strong and vibrant. One of the first is to invest in sulfate free shampoo and conditioner. It’s easy to cause the coloring of your hair to fade due to excessive washing, as well as the wrong shampoo. Changing your washing technique is a fantastic method of providing sun protection for hair. 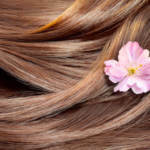 When you’re looking for a shampoo, be sure to check whether it preserves hair coloring. You can also invest in a protective hair serum. This will serve to not only protect the color, but the overall health of your hair. We hope you come away from this article with a little more knowledge and interest in bronde coloring and the amazing things it can do for your hair! At RemySoft Solutions, we specialize in formulating hair care tips and products to help your hair flourish. For more information on who we are and what we do, contact us. You deserve to have healthy, voluminous, great-looking hair, and we can help.